Since the Judges, Congressmen, and President all work for the people of the United States should there be a requirement that they along with all other Public office holders give us ( the Citizens) their; Facebook, Twitter, and other similar social media accounts, Usernames and Passwords, to run for election or to be appointed to become a Judge lets say or cabinet post – I think we deserve the same privacy that they have – don’t you? If not – Congress needs to come up with laws preventing employers from continuing this practice or submit themselves to the same practice and invasion of privacy – they can call it the Anthony Wiener Act #JustSaying. Going to Eastern Europe, as an American, will challenge you if you are a person of strong convictions. This, in my opinion, is because you must understand that when you get far enough away from home there is a different influence on beliefs. This should not be viewed as something to to fear but in fact it should be embraced by both young and old. Yesterday was my first full day In Kyiv and this brought some great food and my new Ukrainian tradition – Eat way too much at breakfast and then go back to my room to write a blog post as there is not much more I can do for a bit until I let some food digest! The breakfast here at the hotel DNIPRO is great, buffet style or omelet on demand. I read on trip advisor some not so great reviews about this hotel but I chose to ignore them because of a few of the good reviews. Truth be told; great staff, good breakfast, rooms are twice the size of central London for half the price – but please do not forget price is all about location! While there were of course different influences on the interior this is a solid place to stay for those not needing luxury. Yesterday morning I walked out to the river to grab some pictures and to simply enjoy the morning. After about an hour of walking around it was back to the hotel lobby bar for espresso. Coffee in Kyiv is not bad, not bad at all. I took advantage of this short respite and then headed to go pick up my ticket for my morning tour. The morning tour would be of the Kyiv-Pechersk Lavra Monastery. This represented my first time lighting candles in a Orthodox Christian Church but perhaps the fun part was getting there. To start we went on the Kiev Metro, just one stop from the city Centre but it was very deep. Deeper than DC or London and perhaps this was done for political or military reasons as well, it would make a great bomb shelter. The metro line was nice, a work of art perhaps with older style trains. I was really happy to get a chance to ride the metro. Upon exiting the metro it was time to discuss the local buildings and the history of the city. My guides were extremely knowledgeable and ready to answer all of my questions political, social, general neighborhood construction. We walked along the roads and eventually came to the churches, it was quite interesting and this is a tour that I would recommend the company: http://freetours.kiev.ua/individual_tours.html and their individual tours, I will be using them again today. These tours are affordable, informative and perhaps fun. I really enjoyed the ability to discuss Ukraine by year and the different wars and battles. It should be noted that what I was taught in school does not appear to match the facts on the ground. Before arriving at the churches we did have the chance to see some monuments to the different winters of famine due to political reasons and of course monuments to different wars or battles of revolutions. I was also pleased to be able to discuss the differences between Orthodox and Catholic Christianity. It was clear that I had misconceptions about eastern orthodox and my friends had misconceptions about Catholics and of course there were atheists. There are of course some differences but in the end there are of course more similarities of beliefs in all three groups. The architecture was unique and in the style of Ukrainian Baroque this seemed different to me from Western European Baroque as it seemed simpler and cleaner in ornamentation and form. After this tour, that took several hours, I was asked if I wanted to go to the war museum tour as we were close and I thought it was a great idea so I said “sure”. The walk to the war museum was interesting. The discussions of the different world views and views on world events were amazing and dare I say enlightening. The Russian exhibit on their Afghanistan war was large and then of course there were World War II memorials. However, inside the museum there was only one room dedicated to WWII and the rest was of the great patriotic war. To have both WWII and such political changes all at once had to be hard and a walk through this museum proved this, from holocaust stories and photos to the massive loss of life in all of the battles. I was curious about the relationship between Russia and Ukraine and I tried to see how people had felt, locals, did they feel like a colony or a Federal Russian state, for lack of a better word. So throughout the day I asked a simple question; if Russia was invaded would you go to fight to defend her. The answer was always very fast, “No.” in general I believe the majority view that they were more of a Russian Colony versus an equal state. Of interest and on my original tour – I saw a site of Russian Pilgrimage and looking back in history it is clear the Ukrainians see Moscow as being founded by Ukraine (Kyiv), so I guess I need to go to Moscow and see if those citizens would come to help Ukraine is they are asked in a conflict, I wonder if it would be welcome help. Breakfast is digested, time to head out to the street, have a great day – here is a site with some history of the Ukraine. I should add, when getting on a bus you buy a ticket. After buying the ticket you then have to find a ticket cancellation device on a pole and place your ticket in and cancel it, or simply get on the back door of the bus and use the same ticket every day and punch or never punch / void the ticket. (I voided my ticket) The citizens seem to all compliantly punch their ticket. Or at least all that I saw. Wouldn’t they be better off with a monthly pass system! As third attempts go this one, my third attempt to go to Kiev, was looking to be a failure. There were many things going wrong to from the very start of the trip. First, my flight was delayed in the USA and then my cell phone did not work in Germany. Noteworthy: It is odd to have both of these occur on the same day. However, by the time I landed in Kiev all was fine. I have to admit I am a bit tired, well more than that and I feel as if I have walked about six total hours tonight. I ended up exploring several sites: Independence Square, Khreshchatyk Street in general and the waterfront to end my day. I am more than fortunate to say that I have been to the fatherland and motherland as they say of my grand parents and with Kiev I have now been to every country that my grand parents originated. Now – I suppose this is not such an accomplishment if your grand parents were both from one “Homeland” and in this small world it is OK to have a homeland. So – I have now been to all the countries of my forefathers; Lithuania, Ukraine, and Italy. I am pretty much a mutt I think and while I feel most at home in Vilnius this country seems the most foreign to me, however I should add with nice and welcoming people. I sometimes judge places by how well I can blend and yesterday I did not feel as If I blended at all but yet I had several people stop me for directions! This is odd and not because I was of course lost but because they could not see that I was lost! So I suppose I blended enough or at least I appeared to blend. I have the weekend in Kiev and then back to the grind in the states. Weather is perfect today so there should be many great tours and pictures. – and yes, I have gone deeper into the locations previous: like greece, naples, and sicily… Just covering all bases, additionally I understand one family member disputes the borders of villages etc in Ukraine, I choose to not get into the weeds as I am happy with my data! Make a loan to an entrepreneur across the globe for as little as $25. Kiva is the world’s first online lending platform connecting online lenders to entrepreneurs across the globe. 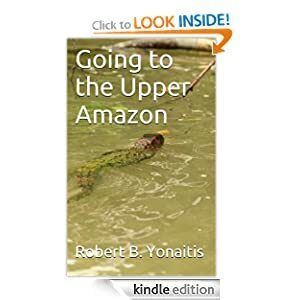 I was asked: Why am I going up the mountain anyway? I just received my travel folder from the company that I am using for my Kilimanjaro trek and there were two questions in the paperwork I was completing that made me think; what was the main reason for the trek and what where my expectations. It occurred to me that these are really great questions. Somehow I have arrived at the decision to take this eleven-day or so trek to Africa’s roof. Where did it all start, how did I get to this place, and what did I really expect to get from this trip besides a brief break in Africa. First, I think part of the goal for me is doing what is not typically done by others and going where most people do not go. Some might view this as silly but if you stop a second and think about it you will see the logic. It is hard to describe the feeling you get when you accomplish something that so few people have even ever set out to experience. I imagine that most of us remember our automobile license exam and yes this is a test of “who we are” and of what we are capable. I remember very clearly my first solo flight, my “Check ride” and of course my first flight as a licensed pilot. I remember stepping of the plane in Vilnius after the Soviets pulled out. Standing on the bow of the ship and seeing the continent of Antarctica for the first time, indescribable. Finally, it is remembering what it took to arrive at all of those locations or achievements. The sense of accomplishment is something that matters, as failure after failure can lead to memorable successes. As a new pilot you are very cautious, you keep in mind your minimums. What weather you fly in or when you instead stay on the ground. After one hundred or more hours you test your minimums. Every hour you grow a bit more and you understand your own capabilities, the planes capabilities, and your minimums change. As a person the same is of course true. In every endeavor that we embark on we test ourselves a bit and whether we fail or succeed we learn about our capabilities and ourselves. 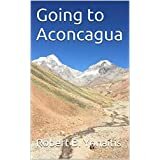 What were my main reasons for this trek? A step, this is my last step before I try an Everest base camp trek via Tibet or Nepal next year. What are my expectations for the Kilimanjaro Trek? A summit photo, of course! To be amongst the small group of people that does this trek. To see the Kilimanjaro glaciers before they are gone. Too many times our UU politicians say we are all the same, we are all capable of the same things, and everyone needs to have the same opportunities. What is so distressing is that this is not true and we all know it. What we need to do is to embrace our differences and somehow work to bring out the best of individuals versus herding everyone to some life that we claim is predestined. When we say everyone has to go to University we do nothing more than to freeze the imagination of our youth. We need to show people that nothing is predetermined and anything is possible. When I was sixteen, working as a dishwasher, hoping to finish high school, I always knew one thing; I could accomplish anything that I set my mind to and it was okay if I failed. If I failed it was my fault and no one else’s. I would learn from my failures and go forward and do better. With every failure comes an education and future attempts. My first time hiking up to Mt. Washington I failed. My second time I had the mountain and an experience no one could take away from me. When I failed because I was unprepared and did not give the mountain the respect it was due, I was not surrounded by doubt or naysayers. Instead, I was surrounded by friends and family that told me I could do it and the next time I did. The granite steps that I had called the giant steps became baby steps on my way to the top. Perception becomes our reality and I hope to have new truths, new realities and new minimums after the trek to the roof of Africa. Well the problem is how do I put all of these words into the 2 lines they offered for each question? It seems to me that I have had this stale profile picture of myself frozen on Deception Island for some time now. I have since been to a few other places and I have done a few things but I have not found a new photo to replace the current picture. How dreadful is it that I even care or have a profile picture? I mean think of it – profile pictures were for dating sites in the past when cell phones were the size of bricks, but now they seem to be for everything. I actually think these pictures do not even represent who we are, but rather what we want people to think of, when they think of us. I like to think of myself as an explorer of places, science, and of course I seek what cannot be seen – truth. So how does one beat Antarctica? I am going to Kiev, Ukraine next week – maybe a photo from there will do. The week after my trip to the Ukraine I am headed to Roma – maybe a photo from there. Rome has many options; Vatican, Coliseum, the Trevi Fountain and then of course there is Pompeii. But isn’t all of that “been there and done that” stuff? I also must add that my existing photo was from January 20th, so it, the profile photo, is getting old! So with this in mind I think I need to top Antarctica and I have already been to the Arctic. So without further stalling or obsessing I have booked a trip/trek to Tanzania and yes I am looking forward to a new flag! (I collect Flags from all the countries I visit.) Having been to Kenya last year this seems like a perfect trek and I want to be in great shape for the trip so I will be starting a twelve week training regimen designed for those taking the two week trip up Kilimanjaro. Now this should result in loads of good pictures with none of them shouting out “there is Rob with a new background”. Having resolved this problem it occurs to me that it is getting harder. I am thinking Everest Base Camp Trek, but from there where next? Will I be off to Space? All of this for a profile picture, well maybe not, but it is a SOLID excuse for a little travel, no? The good news about Kilimanjaro is that I will see the glaciers before they are gone (around 2015) and I will be able to write a new Travel book and this is a good thing to offset the cost of the trek. 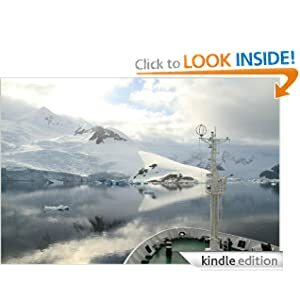 Speaking of Travel books, today is the last day I can give ‘Going to Antarctica’ away for free with Amazon, I get a total of five days and today is the fifth and final, so grab it for free http://www.amazon.com/Going-to-Antarctica-ebook/dp/B007BNEQEK/ref=sr_1_1?ie=UTF8&qid=1331835892&sr=8-1 – After today it is $3.99 every day. About 20-40000 people a year go to Kilimanjaro. With a world population, as of this moment, at 7,000,685,820 – It is nice to go where everyone else is NOT. Also, feel free to send some comments on what you think would be a great trip, I really cannot afford space!